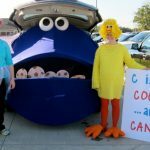 22 Tire Crafts - C.R.A.F.T. 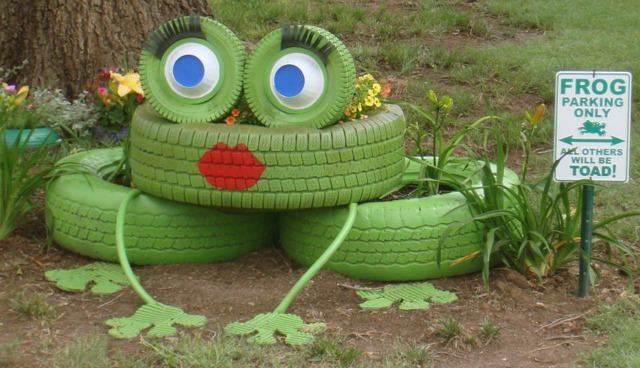 Have you ever wondered what to do with used tires? 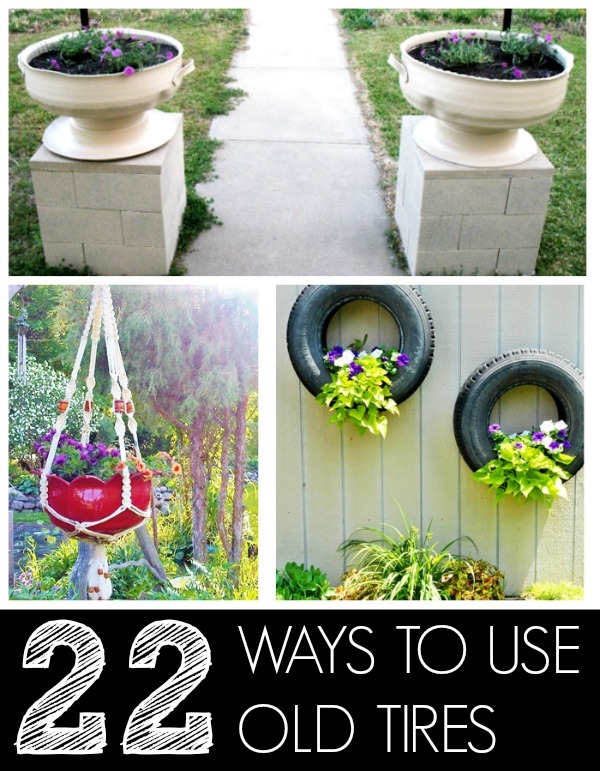 Here are 22 tire crafts to spruce up your backyard, amuse your kids, or even add more seating to your living room. 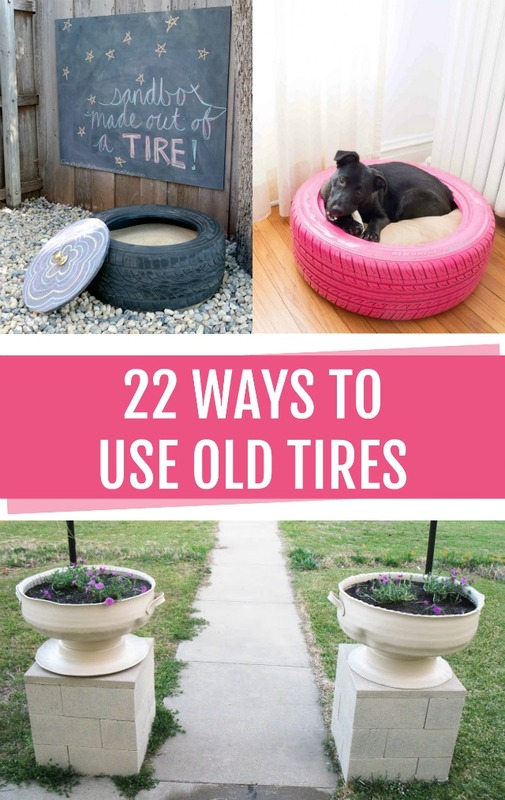 Tire planters that look like frogs to adorable tire seats with extra storage, there is something for everyone on this list! Or if you are nor feeling crafty, and are simply looking for a tire recycling center, click here and enter your zip code to find the nearest center to drop off your used tires. 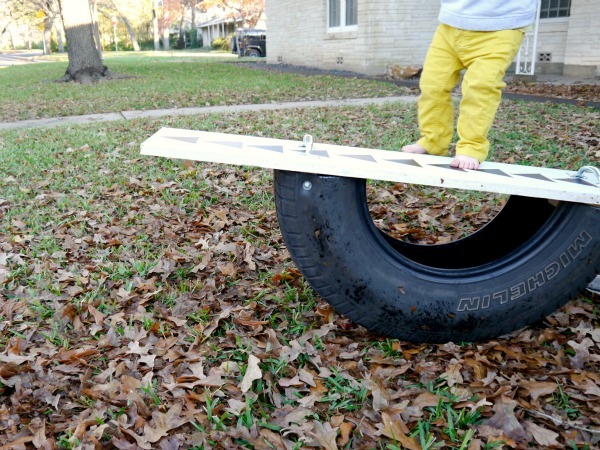 This see saw provides hours of fun for little kids! The best part? You can make 2 see saws with one tire! 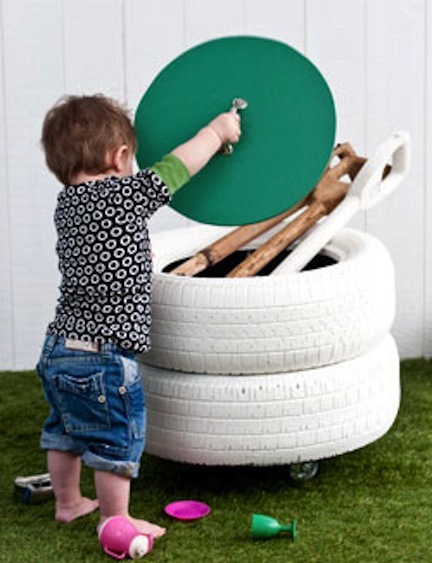 This recycled tire sandbox is perfect for one child. 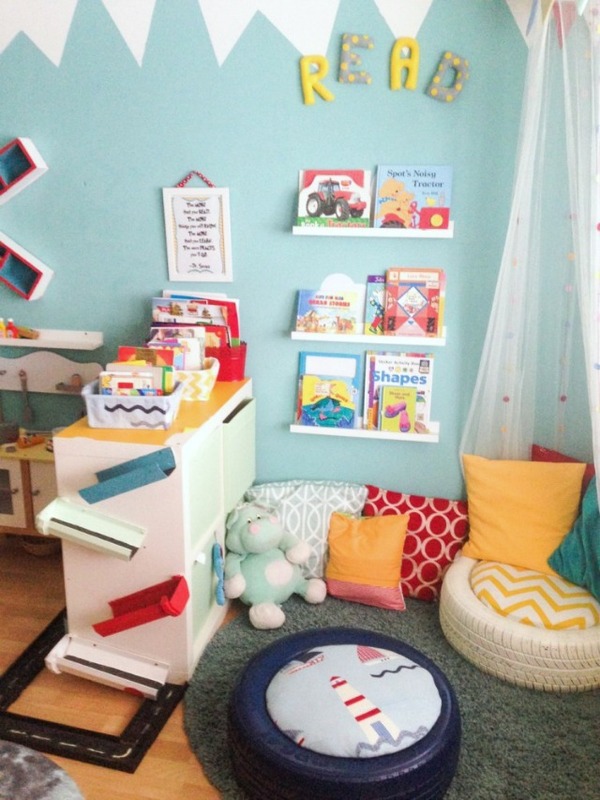 The chalkboard lid makes sure no cat can do their business in your kiddos play space. Instead of a plain ol’ tire swing turn your old tires into a pony swing! 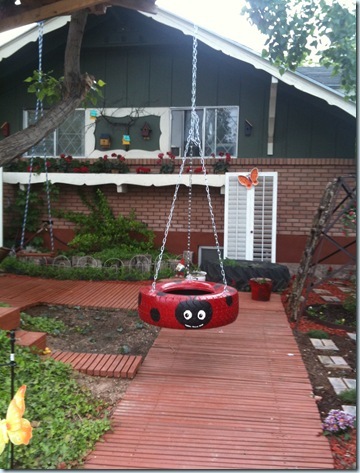 Daves’s Garden shares a pattern and step by step picture tutorial to make your very own point tire swing. Who doesn’t love a hammock? The best part of this tire craft is that you can turn one tire into 2 awesome tire hammocks. Get tire hammock swing plans at Playground Ideas. These old black tires got a major face lift with a fe coats of paint and lots of dirt. 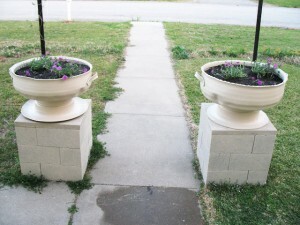 I love how she elevated the urns on cinder blocks for extra height. 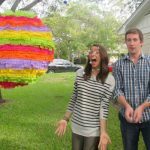 For more pictures and the tire urn tutorial check out Shoestring Pavilion. 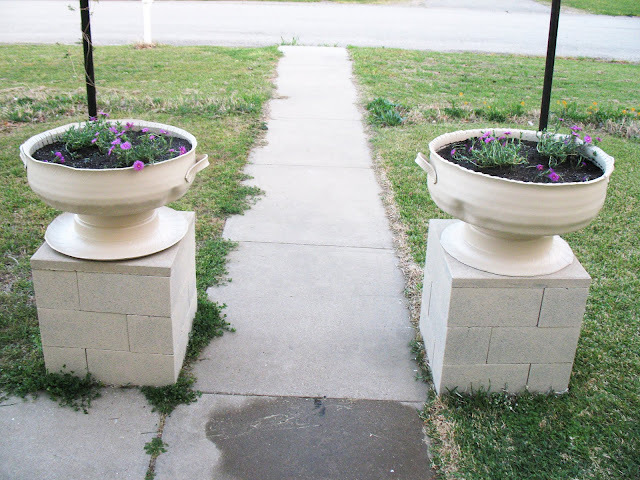 These planters are as simple as hanging tires on a wall and adding beautiful flowers, of course. Don’t forget to drill holes in the bottom of the tires for drainage! For more picture and details visit Recaptured Charm. 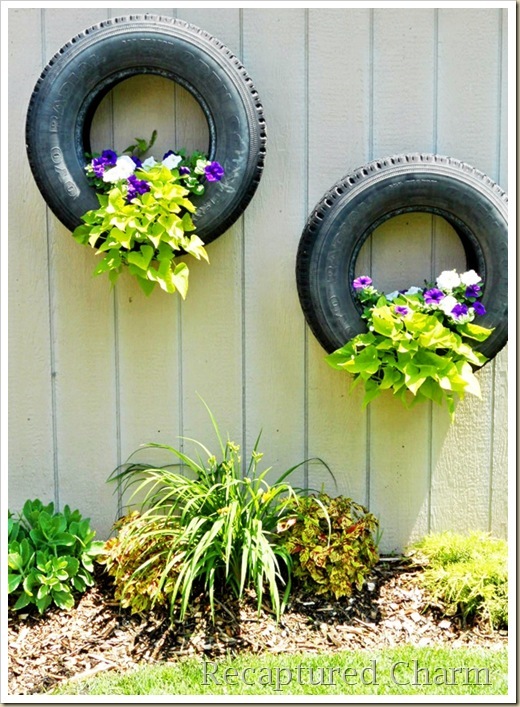 For a simple and colorful way to give old tires a new life consider simply painting each one a different color and filling it with beautiful flowers. For more pictures, check out Hometalk. 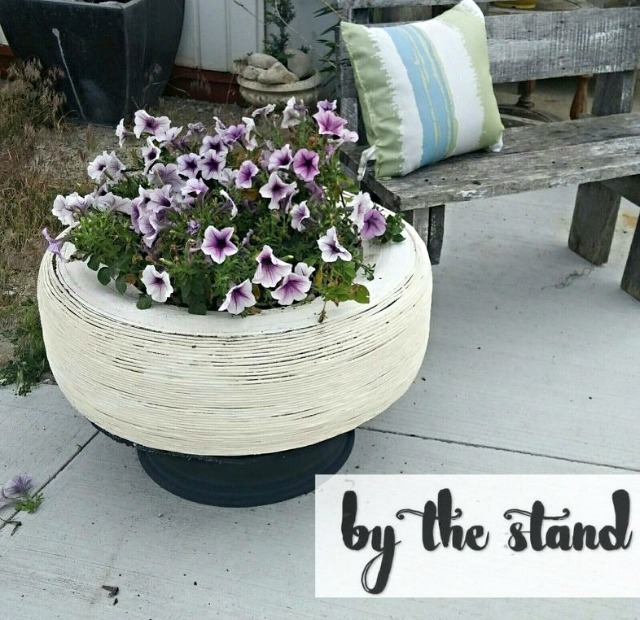 This recycled tire planter up-cycled the whole tire, including the metal rim. She opted to add clothesline rope around the tire instead of painting the tire. 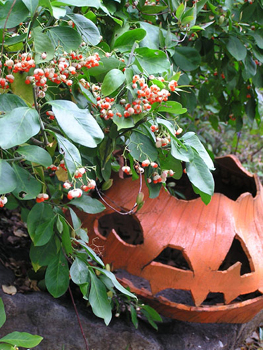 For detailed tutorial to make this recycled planter, check out By The Stand. 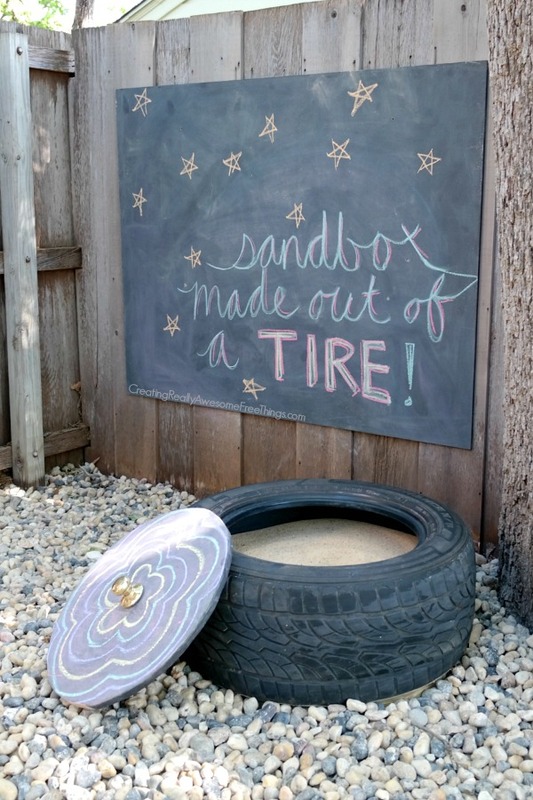 This creative tire garden planter gave 5 old tires a new life and added a whole lot of whimsy to Two Women and Hoe’s garden. 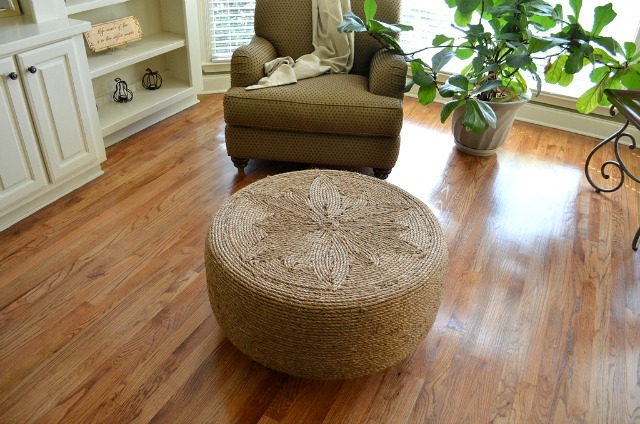 No one would believe that this beautiful ottoman started its life as a tire. For a complete tutorial check out That was a What! 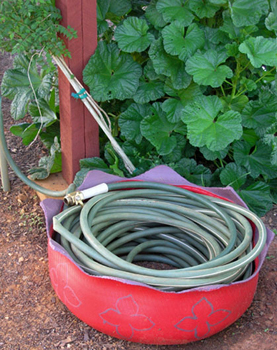 Use recycled tires to make a grass bench, flower planter, and even a playscape for kids. 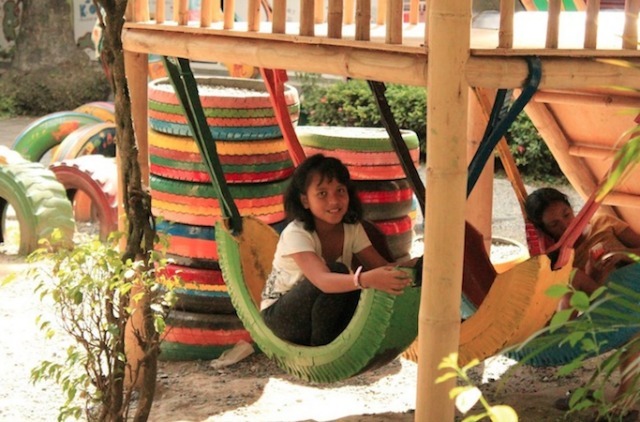 This pop up park was in Lima, Peru utilized old tires in many beautiful ways. These tires win cutest tyre seats I’ve ever seen! Best part? They double as toy storage! For the step by step tutorial, visit Grillo Designs. A simple, modern way to keep the toy clutter to a minimum outside. Best part? The tires are on casters! Spotted on Curbly. 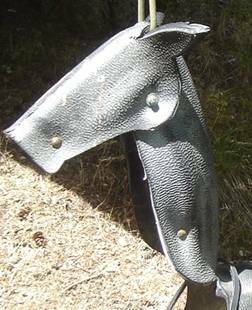 This simple carry all pouch is made from old bike tire. See the detailed tutorial at Etsy Journal. 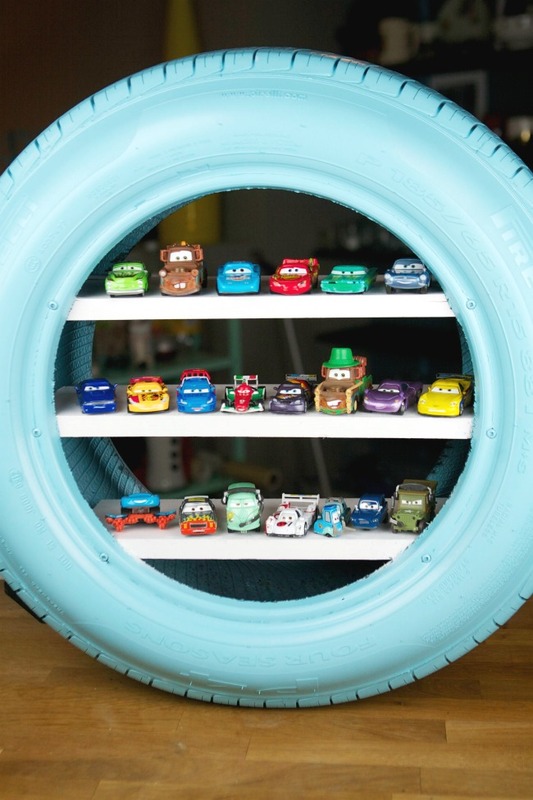 If you have a car lover on your hands, this tire turned Matchbox car shelf might be the winner. A fresh coat of paint and 3 wooden shelves, gives a unique storage space for your little ones most prized possessions. For the complete tutorial, check out Spaceships and Laser beams. 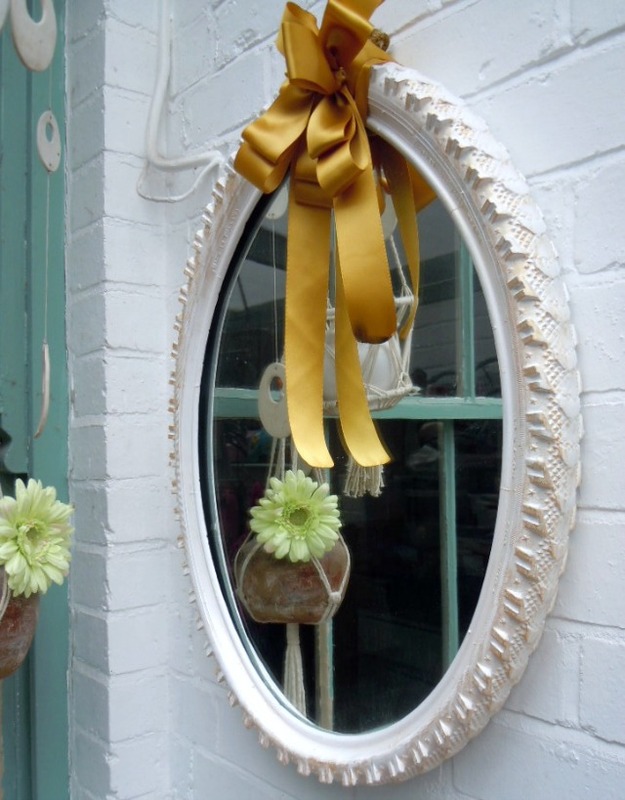 Who knew an old bike tire could look so sophisticated with a coat of white paint and a mirror in the middle? 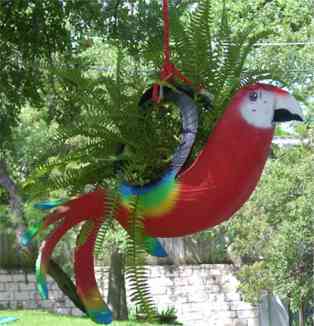 For more details check out Re-Creations Projects. If you’re looking for privacy on your porch or to possibly divide up space consider connecting multiple tires with steel wire to make a screen. 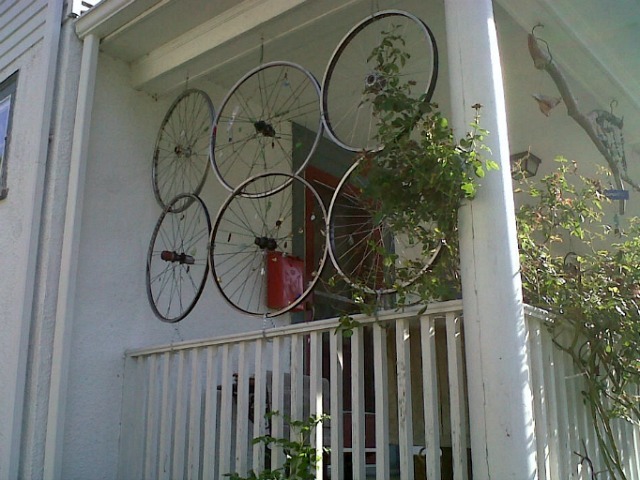 I love that this bike tire porch screen could also doubles as a trellis for vines. 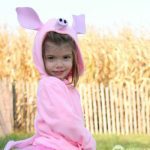 For the complete tutorial, head on over to Instructables. 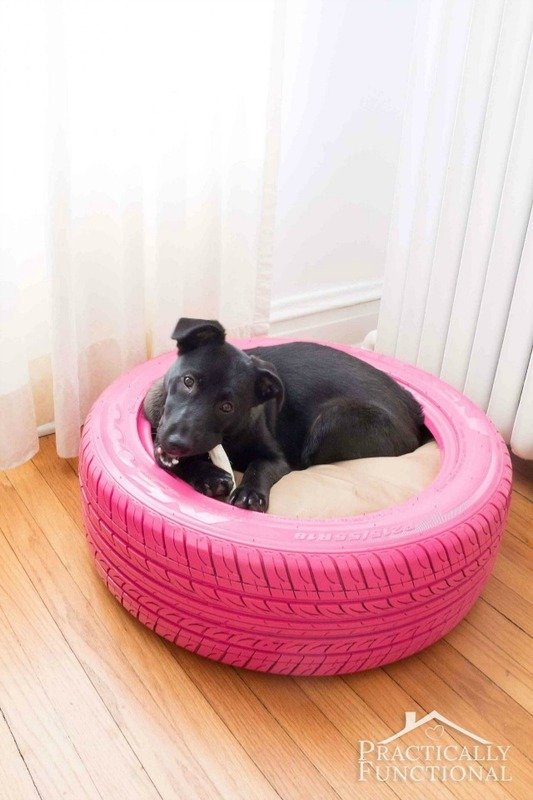 Turn an old tire into a modern dog bed in 2 hours or less. Check out the detailed picture tutorial on Practically Functional. 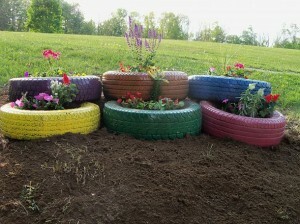 If you ever wonder what to do with used tires again, consider one of these awesome projects above! OMGoodness! I just got all four tires changed today and was trying to figure out what to do with the old ones, and decided to google ideas tonight – and this post popped up in my news feed! Very cool! Hi there 🙂 Love the ideas for the old tyres. Question: How do you line the bottom of the tyres for the hanging planters etc? Who would of thought that you could use so much stuff with tires! 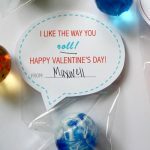 I love all these ideas, thank you for the great post!